So anyway, I'm going to take a subject detour and share a project I did last summer. It involved faux floral stems, little silver hair clips, scissors, hot glue, and cereal boxes so I didn't get hot glue all over our table slash my workplace for everything. The intended result? 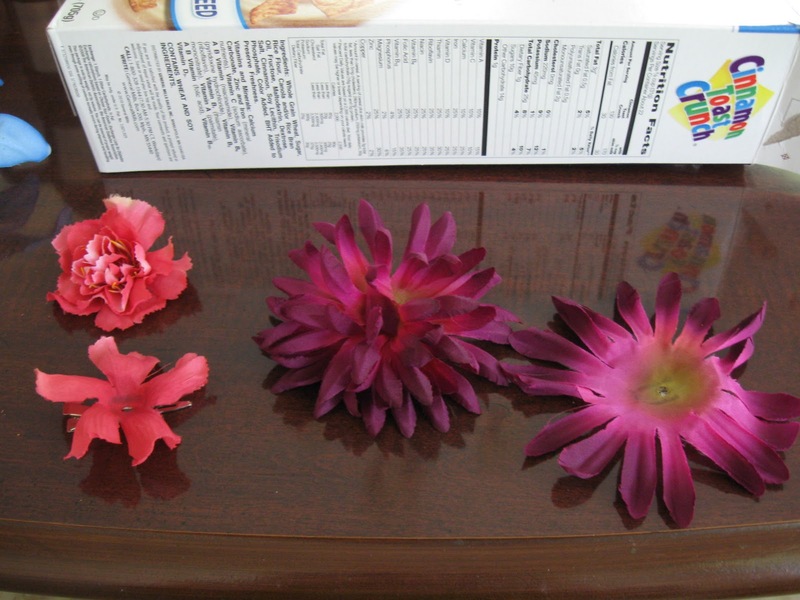 Flower hair clips to adorn the curls of our precious Godchild, Emma. 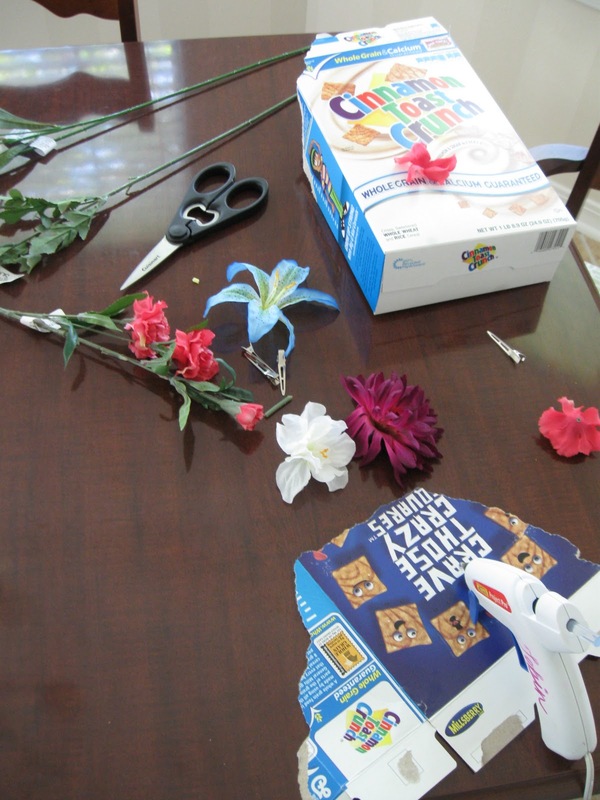 My sister and I took on a project just like this during one summer home from college so I had lots of extra clips. Lucky for me too, Michael's was having a 50% off sale on summer floral stems at the time so all in all, this project cost me under $5 and I still have flowers left to make more clips in the future. 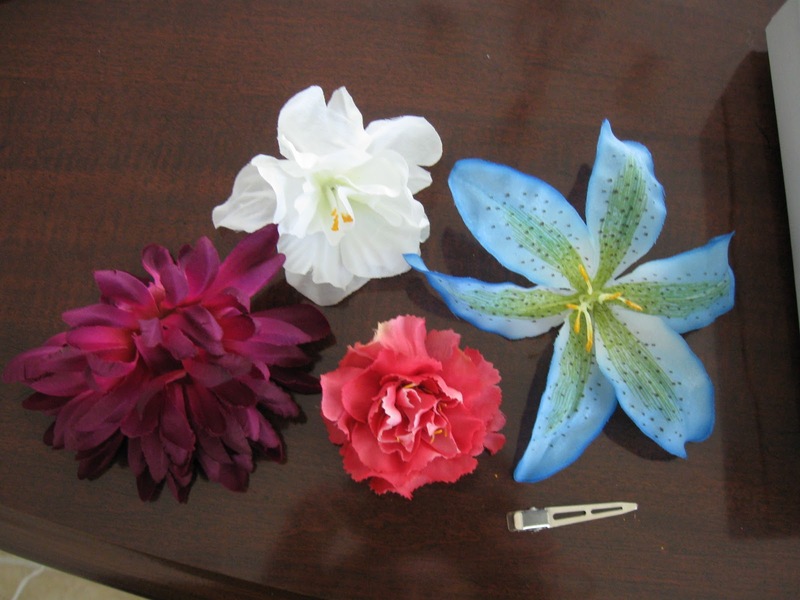 Then, I clipped off the remaining plastic stem on the bottom of each flower, which caused two of the flowers to come apart in layers. 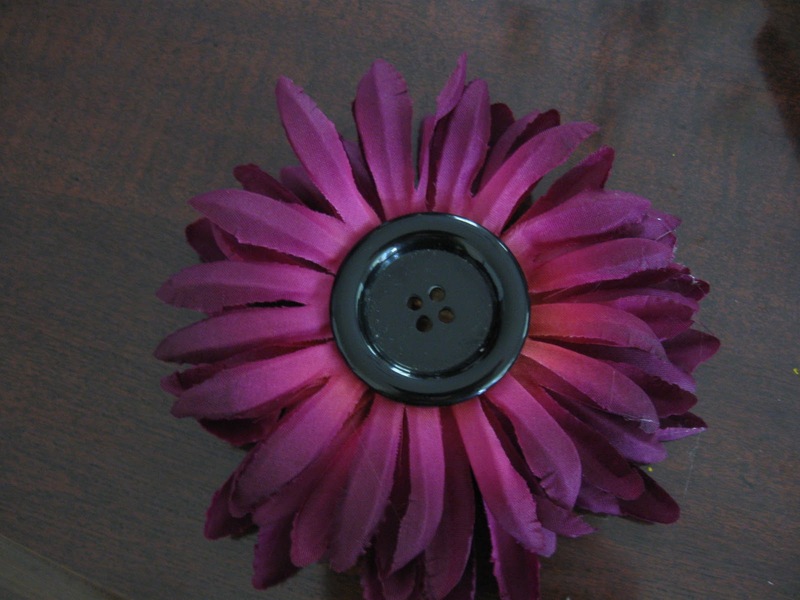 So, I simply glued each layer together but before I glued the bottom layer on, I first glued it to the clip to make sure the flower would sit flat. 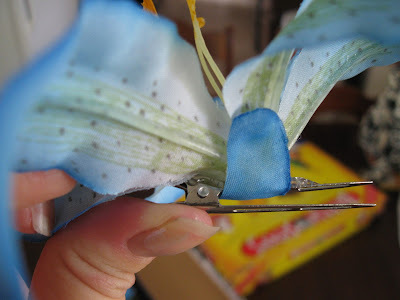 After gluing the entire flower on, I clipped a piece of petal off a smaller flower from the stem that I wasn't going to use, and glued it to the underside of the top of the clip for added support and also to make the clip look prettier underneath. Emma even took a plunge in the pool with one on and it's still alive and kickin'...well, not really but you know what I mean. Headbands would also be great to accessorize with flowers like this! 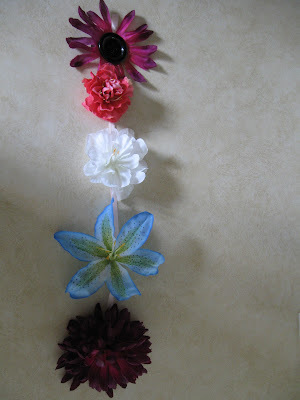 I especially swoon when I see baby girls adorned with a big 'ole flower attached to a stretchy headband. So cute, so cheap, and so easy to DIY!